Few, if any, U.S. writers are as important to the history of world literature as Edgar Allan Poe, and few, if any, U.S. authors owe so much of their current reputations to the process of translation. 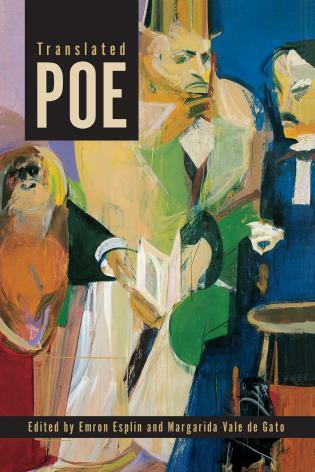 Translated Poe brings together 31 essays from 19 different national/literary traditions to demonstrate Poe’s extensive influence on world literature and thought while revealing the importance of the vehicle that delivers Poe to the world—translation. Translated Poe is not preoccupied with judging the “quality” of any given Poe translation nor with assessing what a specific translation of Poe must or should have done. Rather, the volume demonstrates how Poe’s translations constitute multiple contextual interpretations, testifying to how this prolific author continues to help us read ourselves and the world(s) we live in. The examples of how Poe’s works were spread abroad remind us that literature depends as much on authorial creation and timely readership as on the languages and worlds through which a piece of literature circulates after its initial publication in its first language. This recasting of signs and symbols that intervene in other cultures when a text is translated is one of the principal subjects of the humanistic discipline of Translation Studies, dealing with the the products, functions, and processes of translation as both a cognitive and socially regulated activity. Both literary history and the history of translation benefit from this book’s focus on Poe, whose translated fortune has helped to shape literary modernity, in many cases importantly redefining the target literary systems. Furthermore, we envision this book as a fountain of resources for future Poe scholars from various global sites, including the United States, since the cases of Poe’s translations—both exceptional and paradigmatic—prove that they are also levers that force the reassessment of the source text in its native literature. The editors have done a terrific job commissioning essays from a wide range of international scholars who combine expertise on the works of Edgar Allan Poe with intelligent thinking about translation and reception in their own cultural and literary contexts. This book is a model for what can be done when translation studies and comparative and world literature studies come together productively so that the shaping power of translation in individual literatures is both acknowledged and celebrated.